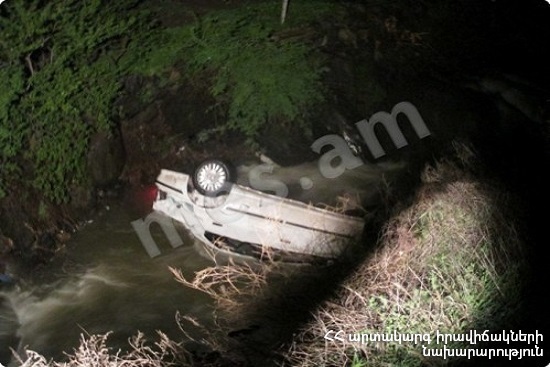 On February 5, at 22:52 emergency call was received to "911" service that a car accident had occurred near “Vostan” restaurant complex in Kapan town, Syunik Province: a car had fallen into the river Vachagan. The rescuers’ help was needed. It turned out that “Toyota ist” car had fallen from the bridge (about 5 m) into the river Vachagan. The rescuers took the driver out of the car and removed to ambulance car. The casualty was hospitalized to the medical center of Kapan town. According to doctors the casualty was in serious condition.